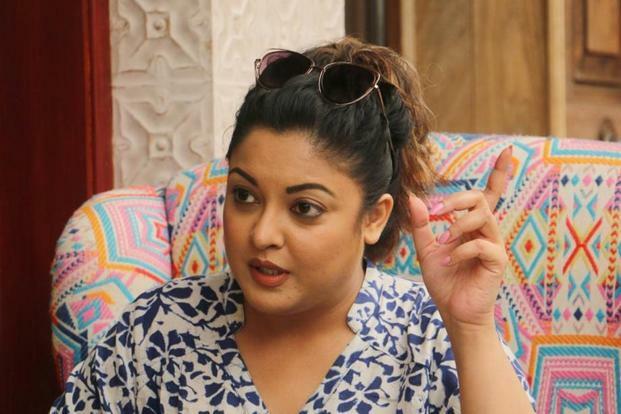 Actor Tanushree Dutta, who accused co-star Nana Patekar lat e last month of sexual harassment on a film set 10 years ago, seems to have opened a can of worms for Bollywood. In a rapid turn of events, names such as director Vikas Bahl, actors Alok Nath and Rajat Kapoor, writer Varun Grover and many others have come up, along with the dissolution of Bahlâs production house Phantom Films following the companyâs inability to take a stand on a woman employeeâs complaint against Bahl. But experts say the #MeToo movement, a global protest against sexual misconduct by men that began last year after revelations against Hollywood producer Harvey Weinstein, was long coming to Bollywood. Most importantly, because most film companies still donât have adequate measures in place to protect women at the workplace. The Sexual Harassment of Women at Workplace Act, which came into effect in 2013, covers the kind of women employed on a contractual basis on a film set -- actors, assistants or technicians. Each film company, like other compan ies in India, is required to have an Internal Complaints Committee (ICC) in place. Sneha Rajani, head, Sony Pictures Networks Productions said while Sony has a robust, functioning ICC, as do other studios, there is no clarity on whether smaller boutique production houses in India have these too. âThe gap here is maybe they (the production houses) have an ICC, but are not strict about enforcement,â Rajani pointed out. It is the responsibility of the employer (to protect the rights of women) and it can be tricky to ascertain who the employer is since a lot of people come together to produce a film. Itâs unclear which companyâs rule will apply, said advocate Anchal Singh of the Lawyers Collective. Singh added that what makes it tougher for the victim is the fact that even if there are functional ICCs, the person may possibly have to go to the committees of all the companies co-producing a film. Ideally, all producers should come together and nominate one membe r of their individual ICCs to form a new overall ICC. Plus, the committee, Rajani said, should have a third-party member not belonging to the film industry who makes sure there is no bias. The situation is not helped by the fact that voluntary private organizations like the Cine & TV Artistes Association (CINTAA) or the Producers Guild of India do not hold the authority to either take legal action against the accused or file a complaint on behalf of the victim . They can only build moral pressure. Along with industry members actively backing these womenâs voices, some people have taken more active steps, like contemplating not to work with those accused of sexual misconduct. The Mumbai Film Festival, for example, has dropped one of Kapoorâs films from its lineup this year. However, more steps are required. Mos t importantly, as producer Rajani and others mentioned, there is a need for a change in mindset. While age-old repression and reasons such as above have necessitated women taking to social media to an extent, there is a call for a persistent and lasting struggle to overcome the casual attitude that exists towards sexual misconduct.